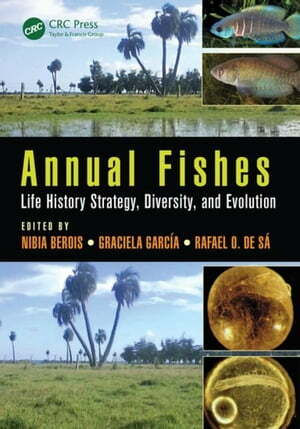 Collins Booksellers - Annual Fishes: Life History Strategy, Diversity, and Evolution by Berois, Nibia, 9781482299724. Buy this book online. The book provides a thorough understanding of the complexity of annual fishes and emphasizes their usefulness as a unique model organism for studies in vertebrate biology, particularly in areas such as speciation and senescence. It also notes the gaps in knowledge that challenge future research and encourages the continued expansion and development of research studies on annual fishes to address these gaps so that general vertebrate biology can be better understood. It serves as a valuable resource for scientists in a range of disciplines such as ichthyology, zoology, developmental and evolutionary biology, molecular biology and genetics, and ecology.